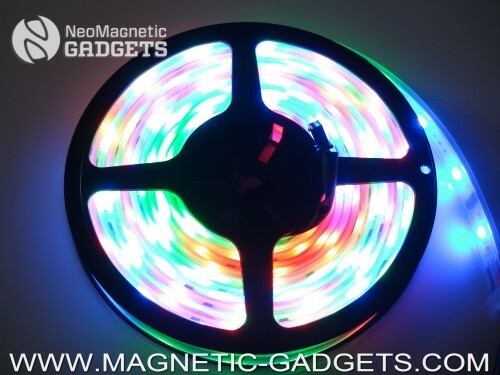 Introducing our top of the line 5 meters long RGB LED Strip: the DREAM Color RGB LED Strip. With 94 different lighting patterns combined to 100 speed settings, this strip features 150 LEDS (30 LEDs per meter) that creates an almost magical effect. This kit is suitable for outdoor or indoor use and is waterproof. This DREAM LED Strip can make any room in your house look like a dance club! Don’t just take our word for it, look at the video we have put together for you and let yourself be amazed by the unsurpassed Psychedelic effects of the DREAM Color RGB LED Strip.